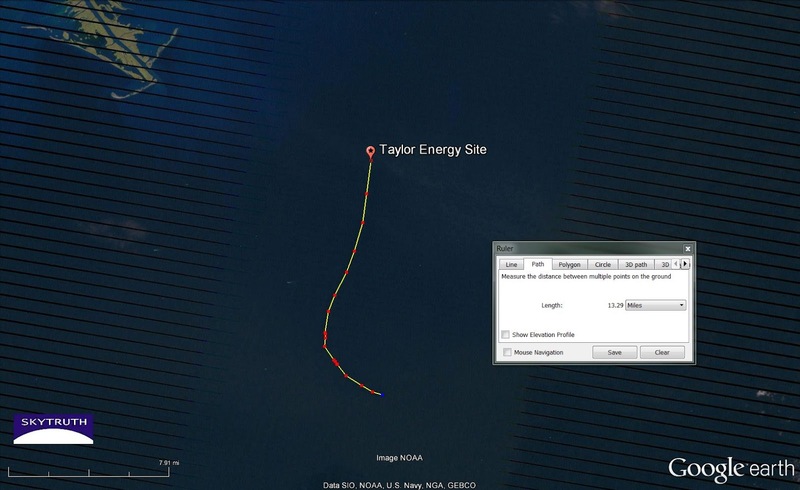 Remember the supertanker loaded with crude oil from Kurdistan that had nowhere to go to unload its cargo, and ended up hanging around in the Gulf of Mexico off Galveston, Texas? 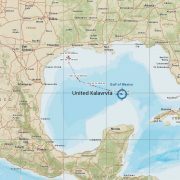 That was months ago, but now the United Kalavrvta is on the move again, and appears to be heading out of the Gulf and off to Gibraltar. And then? Same image as above, without annotation. 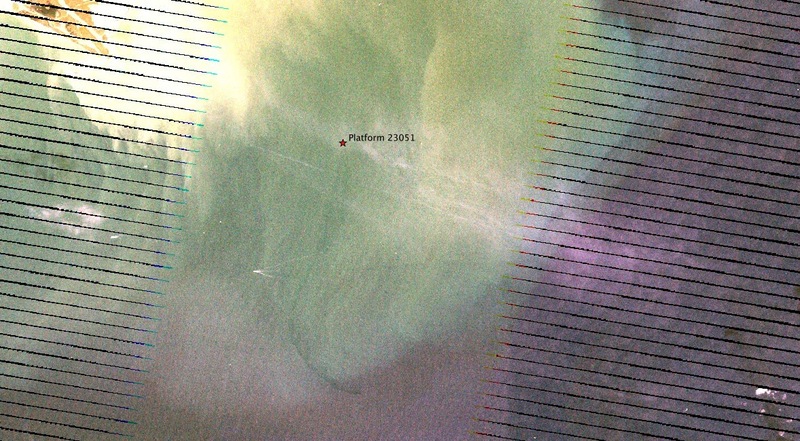 Slick is visible as faint dark streak on this unenhanced true-color image. In case the slick is too hard to see, here is a 3-2-1 contrast-enhanced image. The colors are bit odd because of high-cirrus clouds, scan-lines, and the enhancement process. As far as we can determine, there is no plan by the responsible party, the oil and gas industry, the US Coast Guard or the EPA to permanently fix this leak and stop this ongoing pollution of public waters. 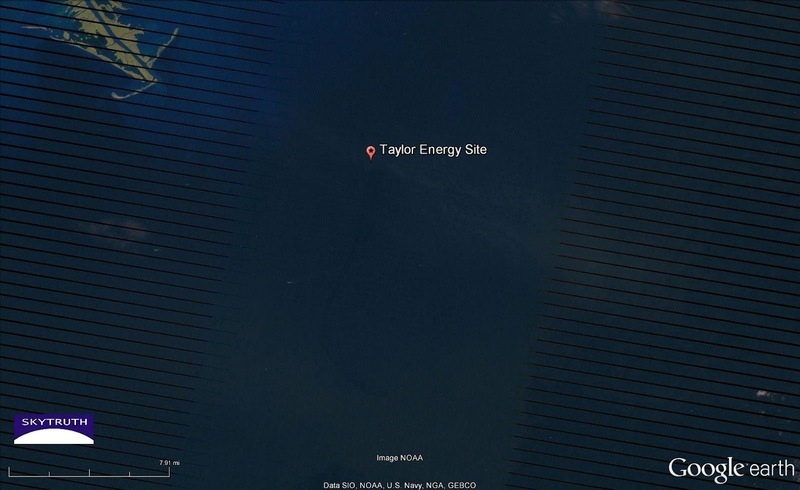 This is not a big leak: it seems to be somewhat larger than the most productive natural oil seeps that are scattered in deep water throughout the central and western Gulf. So maybe “no action” is a practical decision to make. But shouldn’t the public get to participate in making that decision? But big changes are afoot: as of January 1, commercial fishing within PIPA is no longer allowed. Will this fishing ban have teeth? On December 31 (January 1 in PIPA), just 30 minutes after the closure took effect, we observed nine fishing vessels still in the area that were broadcasting an AIS signal. Four appeared to be engaged in fishing activity, and five were in transit. But by the next day, all of these vessels had moved out of PIPA. A few remained to fish nearby in Kiribati waters, like the Mataika, a South Korean purse seiner probably fishing for tuna, shown on the map below. We’re encouraged by what we’ve seen so far. We’ll keep watching in coming weeks using Global Fishing Watch to systematically monitor the effectiveness of the PIPA closure over time. Look for a report from the GFW team in a few weeks — hopefully confirming that this protected area is, indeed, protected at last. 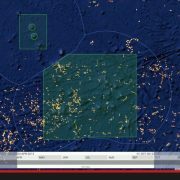 Map showing locations of vessels using AIS in and around Phoenix Islands Protected Area (black line) on January 2, 2015. 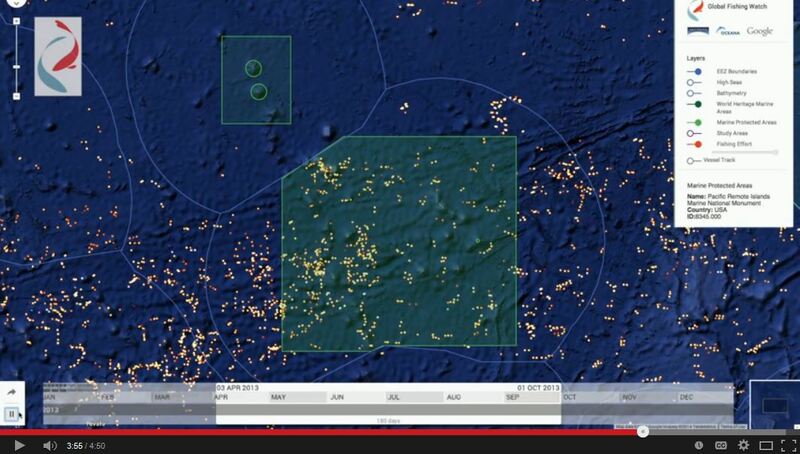 Vessel track is shown for Mataika, a purse seiner likely fishing for tuna. Exclusive Economic Zone boundaries shown in blue. 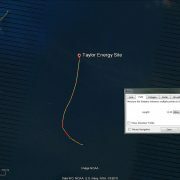 AIS data ©exactEarth via SkyTruth. https://skytruth.org/wp-content/uploads/2015/01/SkyTruth-GFW-PIPA.jpg 604 1065 John Amos /wp-content/uploads/2016/08/test_logo.png John Amos2015-01-09 14:30:002019-02-06 11:01:12PIPA: Protected At Last?